Smartphone manufacturers are always trying to find ways to improve the cameras on their Android to make them the best ones on the market. 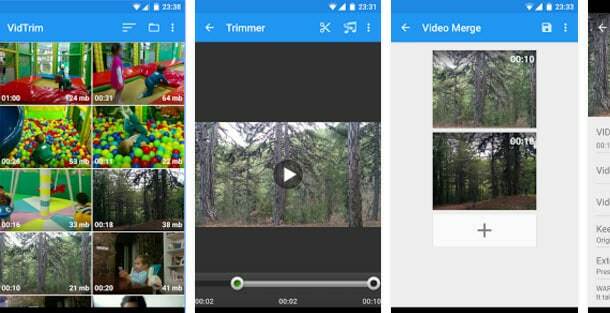 Now there are applications that are starting to find their way onto the Android market so users can edit these videos and photos taken by their phones, turning their phones into so much more than they ever thought possible. With all of these choices on the market, it can be difficult to choose which ones are the best options. This is especially true if you are looking for options that can add audio and voice overs to your videos. 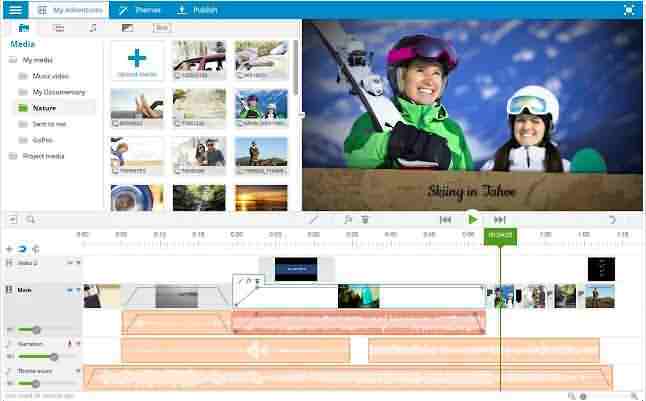 Despite adding audio files to your videos on mobile device, we suggest you try the desktop video editing tool, Wondershare Filmora, to do the task. This desktop software supports almost any audio format. And it allows you to trim, cut, fade in or fade out the audio. Besides, there are so many hand picked effects available, such like Audio Mixer and Audio Equalizer for make your videos better. One of the highest recommended applications is FilmoraGo for Android. This application is especially perfect for those who are looking for an app that can not only deliver some amazing results but is also very easy to use. If you are looking for an editing application with a bit more substance to it, than KineMaster Pro is your best option. There is a lot more substance found in this application that you may not be able to find elsewhere. Not only is the end product amazing, but it has a very well-designed user interface. The UI has a drag and drop interface that is really easy to use. You can adjust the video so that you get an amazing quality picture on your video, as well as offering a variety of templates so that you can really get a great video. One of the greatest features is that this app can support multiple audio tracks and allows the user to overlap these tracks. You can also include voiceover tracks as well. One downside to this app is that it is only available for certain Android phones. If your phone is not one of the supported devices, you will not be able to see it in the Google Play Store. You can get this for free, but it will watermark your videos if you do not have the pro version. This is a bare-bones application that is very reminiscent of the original Google Movie Studio app. There is no real ability for any in-depth video editing in this app, which is one of its downsides. It can support a single track, but it is unable to support more layers than that. You can choose between a music track or a voiceover track but not both. It is easy to use and free with ads. This is a good option if you just want something basic and no-frills to mess around with. This application is less for actual editing but can be very useful if you are merely looking to manipulate videos. It is very easy to use, but there are limited features to this application which may not be what you are looking for. You are able to add audio tracks to the video but as a result of the limited editing features, you cannot place them in any particular spot. There is a free and a pro version that does not have ads. If you want something very basic and easy to use, this is a great choice. This is not an app for people who want some serious video editing abilities. This application is more specialized for those people who want to share the videos on their social media accounts. It is a cloud-based application with a long process time that users may be annoyed with. There are very limited features available with this application. You can add in one of their ready-to-use songs for your videos but this will create a theme that will dictate how the rest of the video looks. Essentially, there really is little customization you can get with this. There is a free version, which does watermark the video, or a premium option that comes with a monthly fee.